When we see a great commercial on TV, we smile or laugh. Bad commercials make us dive for the remote. But pleasant commercials with sneaky messages we sometimes miss. Lately, I've been livid over one particular commercial. And that's why I have to say, "Shame on Allstate Insurance for their bait and switch." 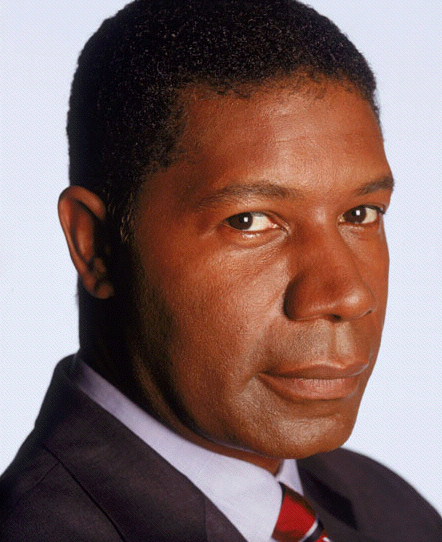 For the last year or two, Allstate Insurance has been using actor Dennis Haysbert (The Unit) as their spokesman. He's a good choice. He's polished, articulate and most of all - trusted. So, when Haysbert speaks, we want to believe him. Currently, Allstate Insurance is running a commercial that completely rankles me. It features Haysbert standing in the center of the screen and reciting copy that goes something like this (this is not an exact transcript, but it's close enough). When you buy something and you're not happy, you should get a refund. If you are not happy with your insurance company, ask them for your money back, and if they call you crazy, tell them that you are switching to Allstate Insurance, because at Allstate we believe you should get a guarantee. If you are not happy with Allstate Insurance, you will get a six month credit on your insurance. Did you catch the big switcheroo? Allstate is challenging you to get your money back from your current insurance company. And if they don't fork over the cash, dump 'em. Well, if Allstate messes up, they'll generously give you a SIX MONTH CREDIT on your policy. In other words, Allstate ain't givin' you your damn money back, either. On the surface, it all sounds real good, but Allstate won't do what they challenge you to do. You can't blame Haysbert, he's just the spokesman and he's doing it for money. But some clever schmuck in Allstate's marketing department thought he could slip this one by us. Well not me. What you do is up to you. But this type of advertising drives me nuts. I'm not an Allstate customer, but I don't plan to ever be - since I can't get my money back. That's not bait and switch, it's clever advertising. Bait and switch is different. Sorry Anon, it's not clever advertising, it is a clever bait and switch. Throughout the first half of the commercial Haysbert clearly says if you're not happy you should GET YOUR MONEY BACK. He even challenges people to GET THEIR MONEY BACK from their current insurance company. But then his beautiful delivery comforts us by telling us that Allstate is not like the others... they will give you a SIX MONTH CREDIT. To me, that's not GETTING YOUR MONEY BACK. It's not clever advertising. It's a game of three card Monty. Shame on Allstate Insurance.